People are often told to “write what you know”, but what if you don’t happen to know a vampire to inspire the meal being made of your heroine or a werewolf to watch for your hunting scene. As writers, we have to delve into our own psyche and pull out what’s hiding there under the covers and shake it until it forms the scene we need. And yet, often, we need something to pry that blanket up to see what’s underneath. People are always searching for those ideas. That muse. That inspiration. That jolt of lightning from the sky. It is that moment that makes the words flow and time stream past in a series of scenes and adventures. It gives our characters depth and insight and often a sense of humor. I have taught my students over and over again that people think and learn differently, thus they get their ideas from different places. And so begins the search for the elusive insight. I know one person who gets scene ideas from going to the mall and jotting down character ideas and interactions from the real life he witnesses there. Agatha Christie said “The best time for planning a book is while you’re doing the dishes.” My husband, like many others, finds his morning shower to be that spark of inspiration hidden in the water cascading down. The flow of ideas linked to the flow of water. This has worked, on occasion, for me, but not often enough to keep me happy. Nope, I find my insight comes best when I am running. I learned a long time ago that I am a kinesthetic learner. If my feet are moving, my brain is too. This requires pacing as I outline or tapping something while I draft. I find even driving at least gives me the feeling of moving enough to get ideas to form more clearly. However, all of this pales when stacked up against the motivation and ideas that I get while I run. Something about the feel of the ground moving underneath me, the change of scenery, and the increase in my blood flow allows my brain to connect ideas I didn’t even realize I needed to connect. Movies start to play out in my mind of the scenes and characters and what they’ve decided to do. Now if I could just have a running notebook. I couldn’t figure out why I had decided to include something in the first scene that never came back through the entire rest of the book. I tried to cut it several times, only to come back that it insisting it needed to be in there. It was important even if I didn’t yet understand why. Then, at the start of my second mile, playing out that scene again in my head, it came to me. It makes perfect sense. I was looking at it all wrong. The characters have now shown me why, and it will make for a great moment in the second and third books. I can’t wait to start writing that section. 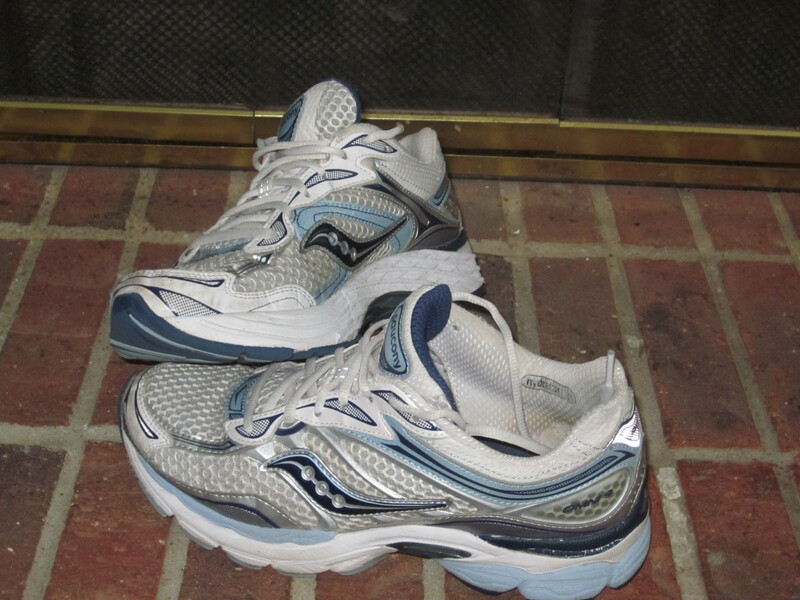 I guess a good pair of running shoes will be of utmost importance in my writing arsenal. This entry was posted on Monday, May 9th, 2011 at 11:31 am	and tagged with ideas and posted in Writing Process. You can follow any responses to this entry through the RSS 2.0 feed. I think that the reason morning showers work to loosen the inspiration, is that I require a nearly complete lack of sensory input when thinking and writing. The “white noise” of the shower drowns out everything except my brain. I also put together such connections when driving with music playing… largely for the same reasons.